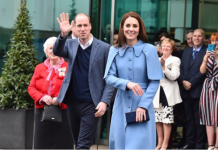 The Duke of Cambridge has revealed pregnant wife Kate has been trying old fashioned remedies to combat her sickness – including ginger biscuits. 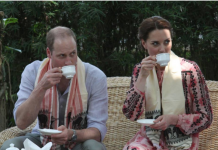 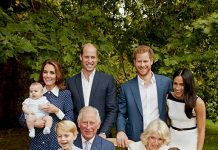 William said that Kate, who is suffering from hyperemesis gravidarum, was ‘feeling better’, but that ginger hadn’t helped much. 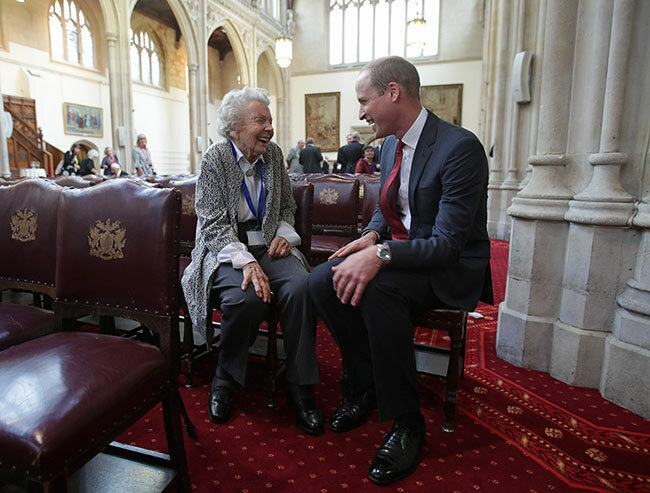 She told him it had and said her doctor had refused to give her thalidomide – the medicine that was later found to cause severe birth defects – and instead recommended she eat dry biscuits. 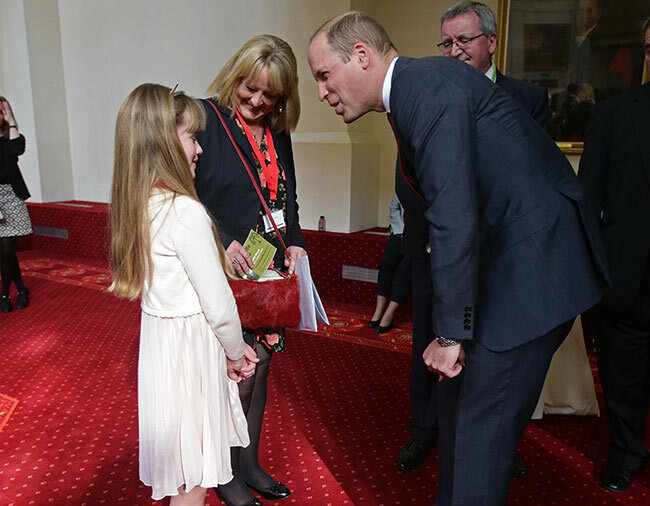 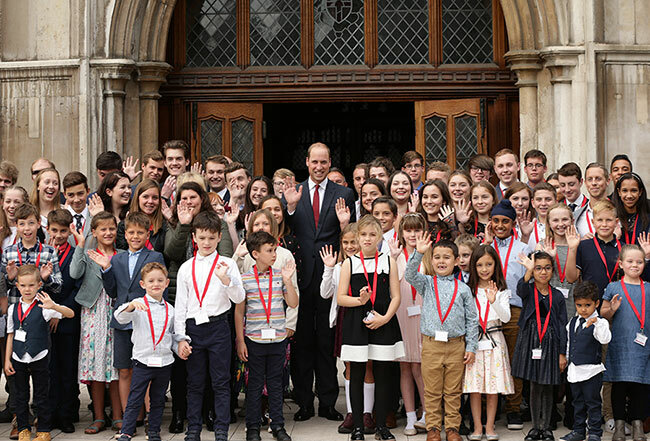 William also met the family of Sergeant Steven Cox, who guarded the gates of Buckingham Palace and William and Kate’s home Kensington Palace for five years until his death from leukaemia in 2014 at the age of 46. 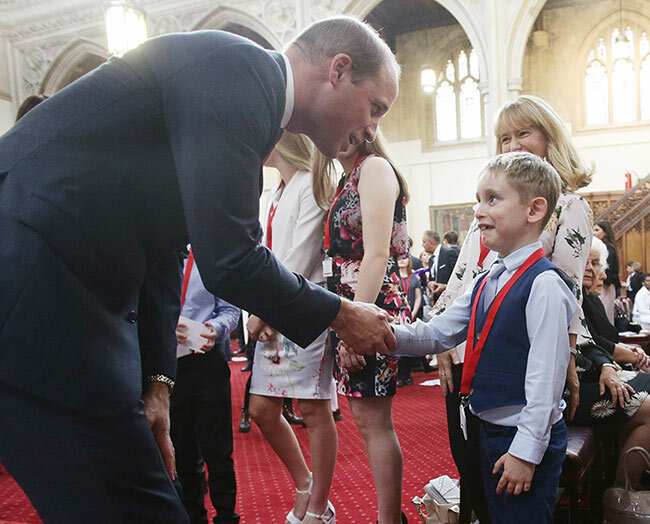 Steven’s widow Sarah,45, and her children Jessica, 17, Ruby, 15, and Harry, 11, chatted to William about how the Fund has helped them and showed him photos of Steven on duty.